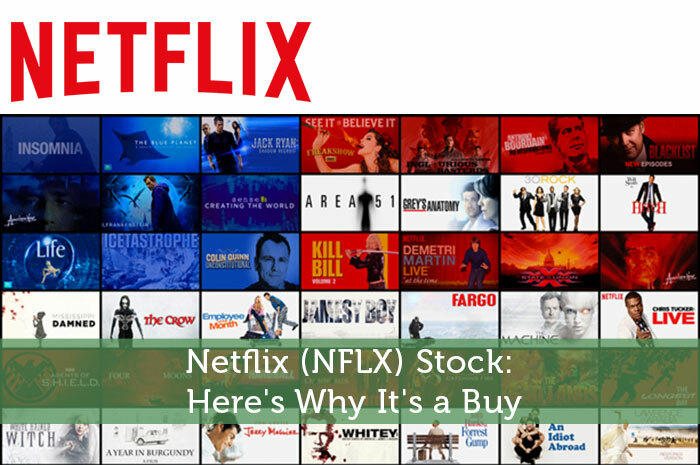 Netflix has been a major topic of discussion among service stock investors, and for good reason. While growth is decelerating, there’s a couple of tricks up the sleeves. The truth is that both bears and bulls have a very valid argument. Today, we’ll talk about the argument from both sides, and I’ll explain why I maintain my bullish opinion on NFLX. The bearish argument on the stock is relatively simple. Like any other online service provider, in order for Netflix to grow, its user base needs to grow. However, recent earnings reports show a troubling trend. While user growth around the world is starting to pick up, domestic user growth simply isn’t hitting the mark. Unfortunately, domestic growth is starting to see big declines. The bulls argue that NFLX has reached somewhat of a plateau. While the company may be able to sell its services around the world, the fact that domestic growth is declining points out troubling signs for the company. The bullish argument is a bit more complex. The truth is that the bulls aren’t denying the fact that we’re seeing deceleration in domestic user growth on the streaming video application. However, they also argue that the bears are leaving out two very important things when it comes to a true analysis of NFLX. Global Growth – While the bears acknowledge the fact that global growth in Netflix users is showing promising signs, they believe that this growth will soon plateau. On the other hand, the bulls argue that NFLX just became a global company late last year, and has barely touched the tip of the ice burg with regard to its potential around the world. The global growth should lead to gains, even if domestic growth continues to diminish. Disney – While global growth is a major factor in the bullish argument, there’s another big factor here, and that’s Disney. You see, the bulls argue that Disney will soon help to lift domestic user growth as well. That’s because in 2012, NFLX signed a contract with Disney. Under the terms of the agreement, the company will have the rights to stream Disney, Pixar, Marvel, and several other main stream titles. The truth is that there’s no other company that has the ability to capture the imaginations of consumers young and old like Disney. As a result, the bulls argue that in September, when Netflix can stream these titles, domestic sales will grow in a big way. As mentioned above, the bearish argument does have some validity to it. However, I believe that the bears are leaving out key factors associated with the intrinsic value of NFLX. At the end of the day, domestic growth may be declining now. Nonetheless, I’m with the bulls when it comes to future domestic growth being helped along by Disney. On top of that, I believe that the bears are painfully underestimating the sheer size of the audience the company can now reach out to around the world. All in all, I’m expecting to see strong long run growth out of the stock moving forward. Where do you think NFLX is headed moving forward? Let us know your opinion in the comments below! All I know is that every person under the age of 30 is watching Netflix on a nightly basis. A millennial recently told me that he would pay up to $30 a month for the Netflix service because he loves the Netflix shows like Bloodline, Daredevil and Orange is the New Black. While we know Netflix won’t increase the price to $30 a month, they do have the opportunity to increase it a little bit without losing a significant number of customers. They definitely have the younger generation on a string!